Severe chaos in Syria has become the reason for worst ever refugee crisis. More than 4 million refugees had to relocate from Syria. For all the refugees and migrants mobile phone technology has become a blessing in disguise and one of the most integral belongings. Mobile messaging apps and social media apps have been playing a vital role for them to stay connected with their family members. Now, when the smartphones have become a heartbeat of more than a million Syrian users the birth of ‘Hello Hope’ app is one of the best things that has ever happened in their lives. At least 3 million Syrian refugees are residing in Turkey, while they continuously experience the political and technological inequalities. This scenario has brought the thoughts of placing the lives of these innocent Syrian souls on a smoother path with the help of smartphones which will accommodate the ‘Hello Hope’ app. Amazing isn’t it? Yes, it is, even the name of the mobile app is self-explanatory that yes it is a new ray of hope for the empty eyes of Syrian refugees, not everyone has enough courage to stand strong without family and home. 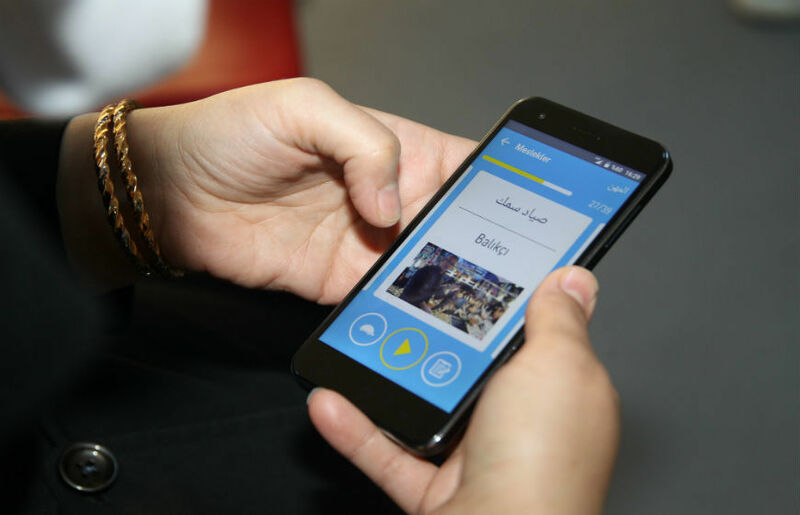 This beautiful app ‘Hello Hope’ app was launched by the Turkish service provider Turkcell, who is trying to help the Syrian while reducing the social inequalities. Turkcell’s CEO Kaan Terzioglu stated that they aim to make everyone have the same conditions everywhere. Hello Hope is a free mobile app and accommodates various special features which also includes Turkish language flash cards, instant speech translation services, and also awareness about how to access public services like healthcare and education. The ‘Hello Hope’ app has already gained massive popularity among the Syrians and touched the download rate of more than 320,000 times, Awesome! ‘Hello Hope’ app’s translation feature has been used at least 5 million times and talk about flashcards then they have clocked their part for around 240 million views. Turkcell is giving complete support to the Syrian migrants and helping them while providing extend mobile connectivity. It is serving more than 1.3 million Syrians with its impeccable network and call-center in Arabic language. The potential of ‘Hello Hope’ app is huge and the best part is that it has been launched specifically to put some sunshine in the dark lives of Syrian refugees. It seems to be a true saying that if you lose something that you love it comes back in a different form and mode to reach out’ credit certainly goes to Turkcell. Hello Hope app promotes educational opportunities for the Syrian refugee children who remain out of the school and also the elder age group Syrian individuals for they face language barriers. ‘Hello Hope’ app has made it easier for the Syrian population to learn linguistic skills which is important to qualify for a job. So, automatically it also helps them to search the job market which is a much-needed step to suffice economic growth. This amazing app provides information about registering for public services that provide education in regards to legal rights and opportunities. Above all this ‘Hello Hope’ app has emerged to promote peace and inclusive society. Yes there is no hope in a Recluse, now there is Hope, say HELLO!